Independently tested and certified by the experts at the ECB-S, the Burton Aver Grade 1 range is suitable for storing up to €15,000 overnight. 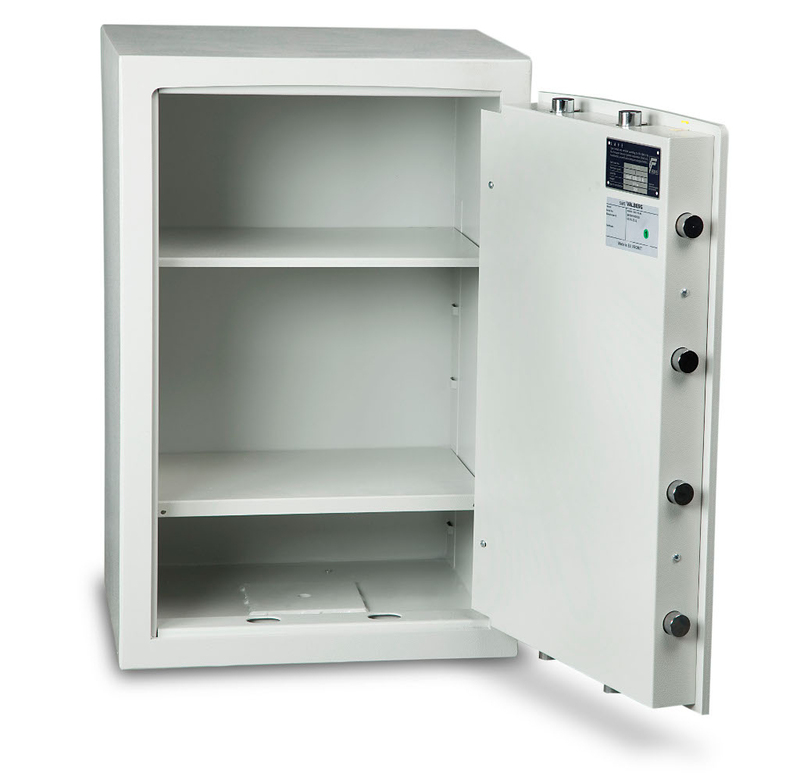 The body of the safe features a double-walled design, with a special security composite material sandwiched between two steel layers. 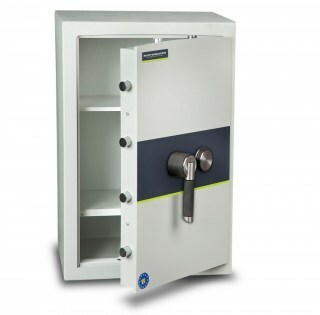 This provides protection from a multitude of brute force attacks. 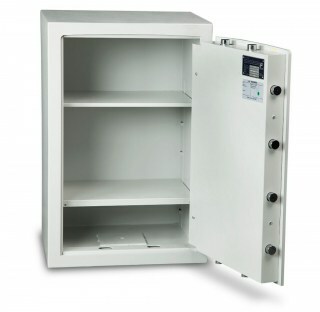 The door of the Aver Grade 1 is constructed from 10mm thick steel and features anti-drill plates to protect the locking mechanism and boltwork. 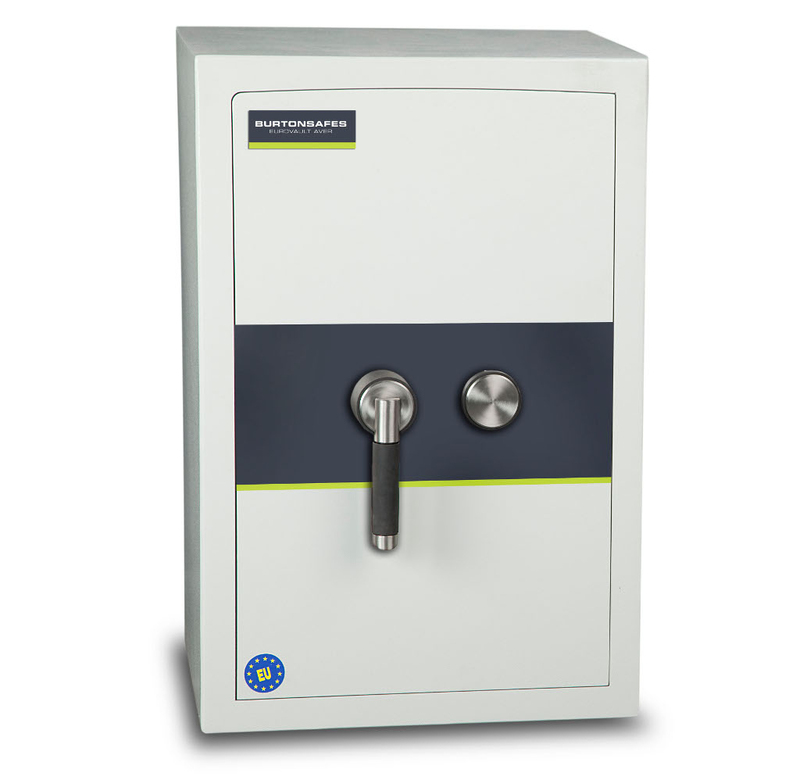 A wide range of optional lock upgrades are available, including electronic and fingerprint locks. Safes from Size 3 up can be fitted with dual locks if desired. Other optional extras include additional shelves, an internal coffer and jewellery drawers (price on application unless otherwise stated. May not be available for all sizes).